Firstly, if nothing goes wrong, this post should find itself on Planet KDE, so I guess I should do a quick self-introduction. I’m Jason “moofang” Lim Yuen Hoe. 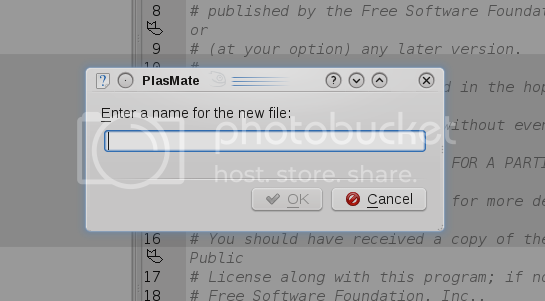 A ‘newbie’, you could say, inching his way towards being a proper KDE contributor :) Right now I’m sticking mostly around the Plasma team, and am focusing my free time on developing PlasMate, the Plasmoid development tool planned for (but I have no idea if it will make) KDE 4.4. Also, I should probably note here that I have been keeping a loose record of my work on PlasMate in my old blog, but that one got blown into cyber-atoms by my previous web host, so kindly excuse me for starting awkwardly in the middle of nowhere here. Moral of the story: never entrust free hosts with your data. Ever. Back to PlasMate, I noted last time that I’ve gotten the autosave and previewing down, such that the previewer always works seamlessly with the editor and previews the latest state of the code on refresh, and the user never needs to worry about losing data or even think about saving, since all of that is done magically behind the scenes. I’ve added in a number of stuff since, let’s take a look. The editor tree responds to these changes and updates itself automatically. The code editor itself has seen some improvements thanks to Aaron. Notably from the screenshots – it now shows line numbers. It also now makes its backup files hidden so they don’t show up in the editor tree and be a nuisance. (They still show up in the screenshots here because my trunk is currently broken, so these are running on 4.3 in which the fix doesn’t work :( ). May’n and Fukuyama goes: DYNAMITE! DYNAMITE EXPLOSION!! This is an excellent idea, I’m looking forward to finding some time and trying it out. The integrated, magical ‘transparent’ git support is an awesome idea. Couldn’t the same infrastructure be reused to support some kind of collaborative editing? Also, have you guys considered cooperating with KDevelop? It seems like both projects have ideas and features which could benefit the other. What I meant is merely that things like the transparent revision control could be useful in KDevelop, while KDevelop’s semantic code-understanding foo could be useful in Plasmate. Not any kind of convergence. There is visibly a bundle to identify about this. I consider you made certain good points in features also. Stay up the good work! You already know, lots of people are hunting round for this info, you could help them greatly. There is noticeably a bunch to know about this. I suppose you made some nice points in features also. 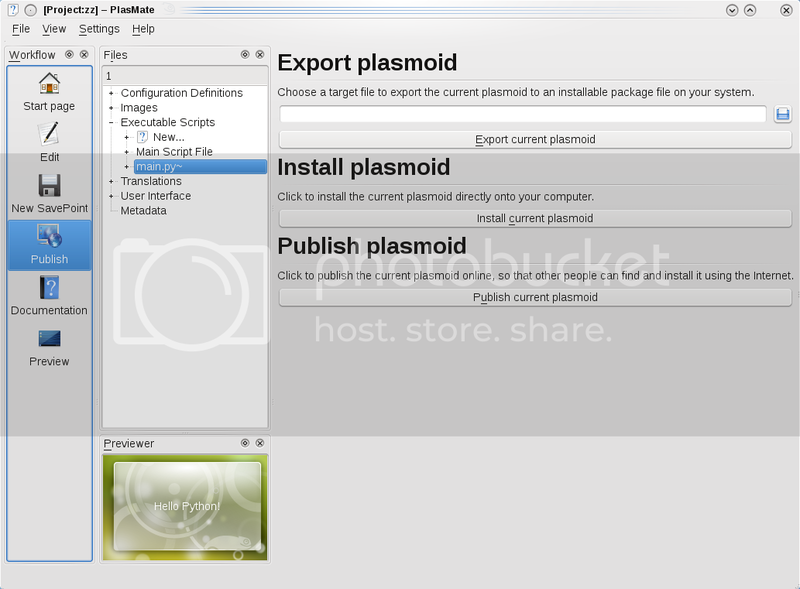 PlasMate update (and hello Planet KDE!) – Between Linux and Anime. of these responses come across like written by brain dead visitors? Great web site. A lot of helpful info here. I’m sending it to a few buddies ans also sharing in delicious. persons are searching around for this info, you can help them greatly. sharing in delicious. And obviously, thank you in your effort! There is clearly a bundle to know about this. I feel you made various good points in features also. I believe this website has very great indited content material posts.